Our Raw Cacao Powder is an incredible way to get your chocolate kick without the nasties that commercial chocolate & cocoa powders can contain. Sacred amongst the Mayans & Aztecs in the tropical climates of South America, the Cacao bean is the raw base for many chocolate producers around the World. 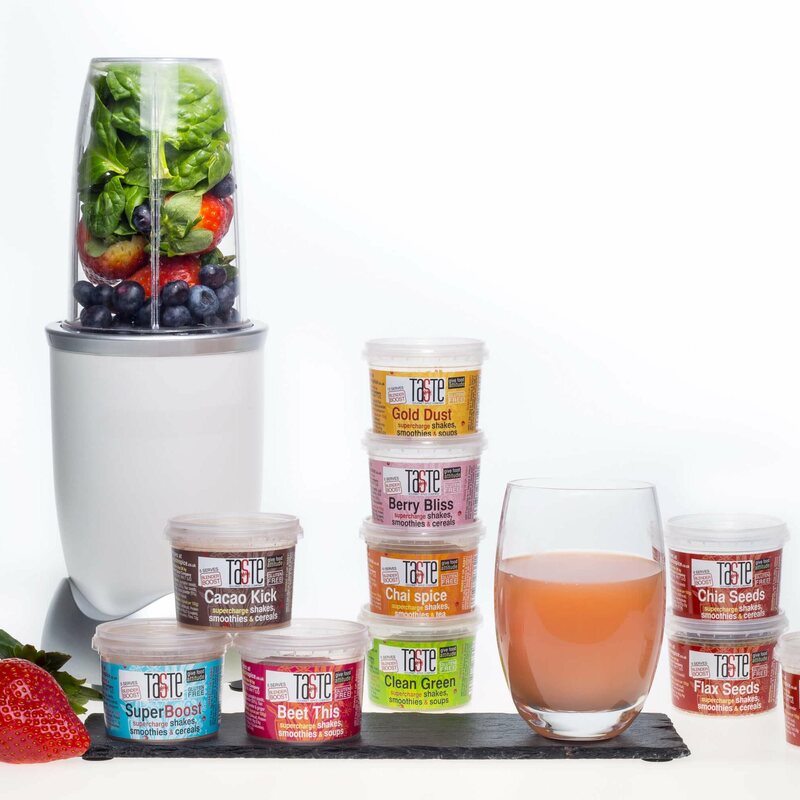 Technically a superfood because of their wide range of antioxidants & nutrients, they are rich in Calcium, Iron, Zinc, Copper & Potassium whilst still being low in sugar. Raw Cacao pods are initially harvested by hand before fermenting to reduce their bitterness. After cleaning the dried beans in natural water, they are peeled & the core extracted to be broken into Nibs. These Nibs are ground to a paste, the fat (Cacao Butter) is extracted & the residue is dried & ground to a fine powder to create Raw Cacao Powder. This method preserves the nutritional value of the Cacao without the use of any additives. 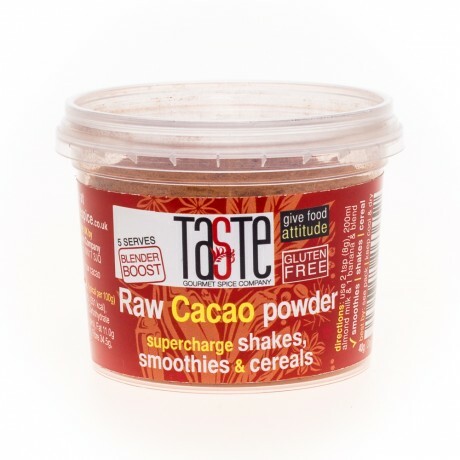 Raw Cacao Powder is excellent in baking, smoothies, shakes, rice pudding, ice cream & much more. It has a very similar taste to cocoa but is more intense as this is in its most natural form because it is less processed. Mix 2 tsp (8g) of Raw Cacao Powder with your favourite nut butter, a dash of honey & a pinch of salt for a delicious spread on crackers or rice cakes. For a great smoothie, add 2 tsp (8g) of Raw Cacao Powder to a blender with a banana & 200ml almond milk (or your favourite alternative) & blend well. Add berries too for an extra boost.